The all new ECM Mechanika Slim V combines outstanding performance and compact size into one neat little package.. The Mechanika Slim V still utilizes ECM’s 2.1L heat exchanger boiler just like their larger models but the slim measures just 25cm across! 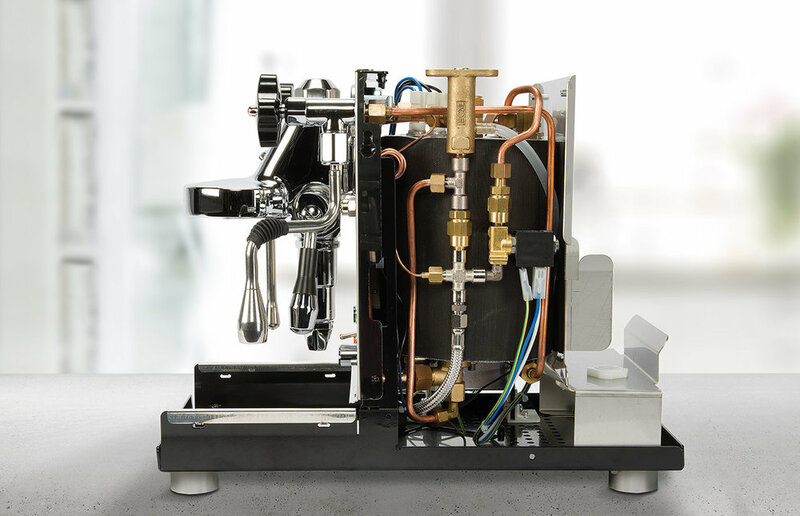 The Mechanika Slim V utilizes a heat exchanger boiler meaning you can do both coffee and steam at the same time.